Lena Willikens has always been an outsider. Born in the south-west German city of Stuttgart to a Hungarian architect mother and an artist father, formative childhood weekends spent in galleries and gothic churches coupled with a distinct, non-Swabian accent had her labelled "unusual" by her peers from an early age. "I was always the freak," she tells DJ Mag over Skype, half-laughing. "She's different!' She doesn't speak the same way that we speak!'" Those years would prove prophetic, but one should not for a second think that being an outsider is something the Cologne-based DJ/producer/noise-maker sees as a bad thing. Rather, it is an identity she wears with pride, an armour that has defined her artistic trajectory up to this point. 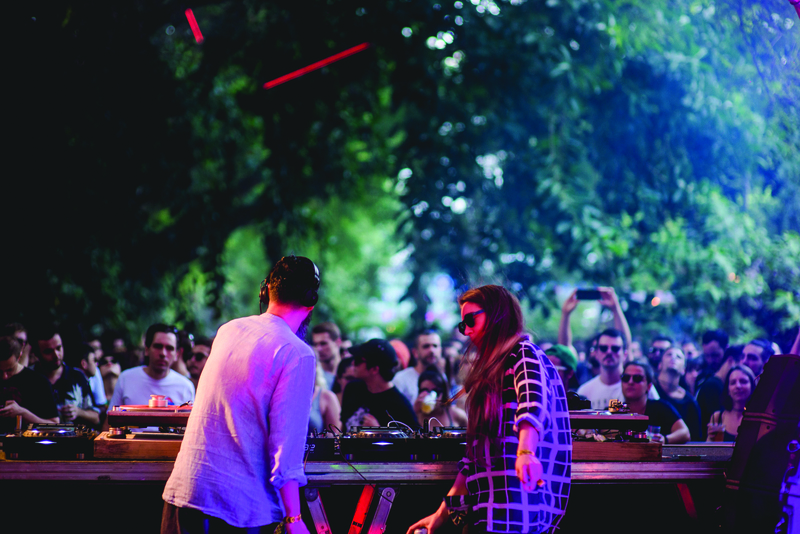 From her days as a student in Düsseldorf’s arts academy, cutting her teeth as a resident in the tiny Salon Des Amateurs club, to her current status as one of the most sought-after DJs on the European circuit, Willikens’ course has consistently been one that invokes the oddballs, punks and forgotten geniuses of 20th century music, their influence laden throughout her own tracks and remixes of S U R V I V E and Lena Platonos. Not to mention her increasingly notorious DJ sets. 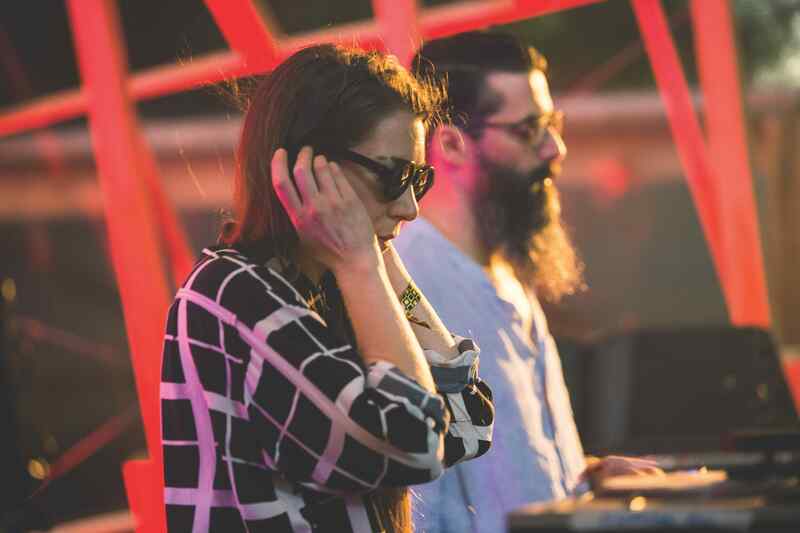 In a dancefloor setting, Willikens draws from her outrageous and esoteric record collection to seamlessly fuse propulsive industrial sounds, krautrock and EBM with cavernous new-wave, post-punk and deep electronics. Elsewhere, through her archive of Sentimental Flashback shows on Radio Cómeme, one finds her exploring genres, cultures and movements from across the global and artistic spectrum, from Japanese minimalism to mysterious spoken word and sound design. It should come as no surprise, then, that when asked about her affinity with acts such as the seminal industrial trio Throbbing Gristle, she becomes far more animated than she does when discussing the glossy club universe that DJs of her calibre are so often expected to occupy. The role of Salon de Amateurs cannot be understated. A club where you’d be as likely to hear a Neu!, Sun Ra or Kraftwerk record as any other trendy dance cut, its anything-goes ethos solidified in Willikens and her contemporaries Jan Schulte, Toulouse Low Trax and Vladimir Ivkovic the value of never compromising on style, genre or attitude. At the time of our interview, Willikens is in São Paulo, sat in a recording studio surrounded by fellow artists and musicians who, under the curation of Ivkovic, are celebrating the life and work of the influential Serbia-born producer Rex Ilusivii, aka Suba, whose experimental electronic explorations made him one of Brazil’s most prominent producers before his sudden, tragic death in a studio fire in 1999. Though not directly involved wih the project, it is artists like Suba that excite Willikens; those characters who were never properly championed, those who have constantly skirted on the fringes of "normality" and whose work redefined genres, instrumentation and artistry at every turn. Fresh off the back of a storming b2b with Ivkovic at Dekmantel São Paulo, and a subsequent four-hour-long after-party solo set, she is, despite having flu, still buzzing from the performances and sets she caught at the festival, namedropping Os Mulheres Negras, Elena Colombi, Izabel & Tako and Interstellar Funk among the best she heard. Willikens though seems endlessly amused and surprised that, for many at the festival, her own sets were among the most special. “I have a hard time with someone telling me in musical language for two hours that the world is totally happy. I can’t really believe that"
One significant take away she had from this year’s outing in São Paulo was how intimate and characterful the stages and spaces were. It’s something Willikens values hugely when it comes to her work because, for her, music is an act of communication and personal engagement that is aided by physical closeness to a crowd. For Willikens, sharing, creating and consuming music is something that defies intellectualisation and language. These experiences, be they communal or individual, create a dialogue of their own, allowing for a sense of physical, spiritual and emotional clarity to be found where words cannot reach. “It’s another way of communicating,” she explains. “When I talk about ‘leaving your body’, for example, I don’t feel it is escapism. It’s nothing like that. It’s to do with actually facing what you experience in life.” As such, Willikens’ DJ sets and radio shows never aspire to convey just one feeling or idea. To do that would be insincere, unfaithful to the actual experience of life with all its negativity and joy. Instead, Willikens will at one turn deliver a dark and menacing cut of harsh noise, and at the next an excitable dash of motorik groove, moving from a downtrodden sub-bass rhythm to an exuberant drum workout, mimicking a dynamic course of simply being. Last autumn, Willikens and her friend and frequent collaborator, visual artist Sarah Szczesny, spent three months in Kyoto, Japan on a residency in the city’s Goethe-Institut. Together, as Phantom Kino Ballet, the duo crafted a 54-minute audio-visual work that fused clips of spoken word, poetry and abstract music with haunting film snippets, homemade video and costume, all coalescing to make an eerie, transportational experience that suited both artists’ experimental, curatorial minds down to the ground. Having collaborated previously on the music video series for Willikens’ 2015 EP, ‘Phantom Delia’, the opportunity to work together on a project this creatively liberating is something that Willikens describes now as “the best thing I ever did in my life”. A spectre looms over Willikens as she considers and discusses these energies and non-verbal interactions that define her dark and otherworldly oeuvre. You can hear it in the haunted vocals that fill ‘Phantom Delia’ tracks such as ‘Nilpferd’ and observe it in the shadowy robes that her and Szczesny don as Phantom Kino Ballet. You can sense it in the notion that, no matter how solitary something may appear, Willikens is never alone. But who are these recurrent phantoms that she so often alludes to? When producing ‘Phantom Delia’, that phantom friend assumed the form of pioneering electronic composer Delia Derbyshire, whose in influence is heard throughout the EP in its whirring darkness, its off-kilter jolts and dazzling menace. The composer, whose significance went unacknowledged for years despite her having created the famous theme tune for Doctor Who, “looked after” Willikens throughout the process, she says. So, Lena Willikens may well be an outsider, but she is there on the fringes dancing with her phantom friends and “amateur” contemporaries while more and more, the eyes and ears of the world are being cast to those outer reaches where the music is weird and human and raw. She is standing at the helm of a new wave in musical appreciation, assuming her role as one of the puppet masters yanking at the strings of genre boundary and artistic limitation, inventing new languages by weaving together the world’s musical debris. 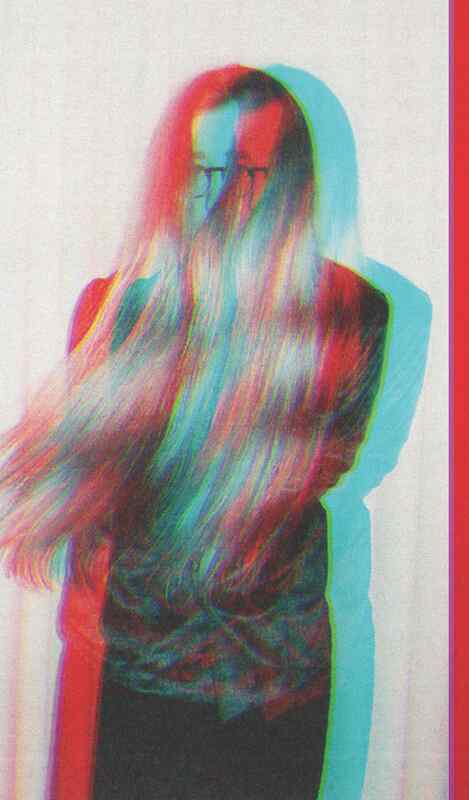 Lena Willikens is going to have a conversation with you. You will hear her better from the edge.